Yesterday I mentioned a spreadsheet about photographers. 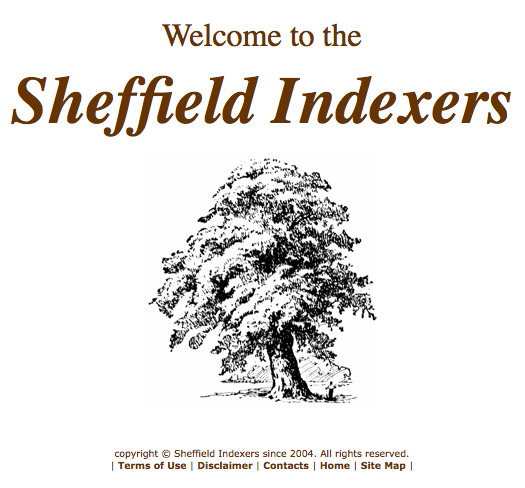 I found that spreadsheet on the website The Sheffield Indexers. If you have ancestors who lived in Sheffield, this is a website you will want to become familiar with. Sheffield is a parish in York County, England. My Hyde and Whiteley families are from this area so this website was a great find. I love the mission statement of the website: The Sheffield Indexers’ mission is to provide, via the Internet, accurate indexed transcriptions of genealogical records for access by all, free of charge. Awesome, right? I first stumbled upon this little genealogical gem last year when I was looking for a marriage record for William Henry Hyde and Ann Whiteley. I didn’t find the marriage record there but I found plenty of other items that have been fabulous. I was so grateful for the free access to some important items that I did a little indexing for them. This website is packed full of goodies. If you have family from Sheffield I suggest you read the ‘About Us’ page and look at the site map to get an idea of what you will find. And, if you feel like doing a little indexing work, they take volunteers. I LOVE it when I find a niche website that helps my research! Previous postPhotograph Showcase: Which Grandfather Hyde? They are a great help! I have ancestors that lived in various parts of the West Riding of Yorkshire (one of the original three counties that made up Yorkshire) who often went into the Sheffield area but that often seemed to be a bit of a black hole in terms of records online. I’ve still not yet found some details relating to my family in that area but one day I will! Glad you ordered the marriage cert! Yes, it was helpful. It was the first English certificate I have ordered. I was disappointed though to see the huge difference between English and Scottish records. Those Scottish folks do civil registration really well. It was a good reminder not to expect things to be too similar even though Scotland and England are so close geographically, and are now both part of the UK. Oh yes, we are the poor relations in terms of civil registration information! But marriage certificates will still provide father’s names and occupations at least. Scotland have always done their own thing in terms of civil registration, which it still does to this day, and no doubt will continue to do so – especially if it votes for independence this year! I am deeply in love with Scottish records. Everything is so straightforward and detailed. I suppose I should pay more attention to world news, didn’t know Scotland was voting for independence. I’ve seen a few things that make more sense now in that context but didn’t know what was going on. Guess I should spend a little less time in the past and a bit more in the present! I hope they don’t split from us, but we’ll see what happens! I also really like the information to be found on Australian civil registration, similar to Scottish records in some respects, but like all these things they are only as good as the information provided on them by the informants! Oooh, I haven’t done much with Australia. I do have a handful of my Scots who moved to Australia and I’ve looked at the travel docs but that’s really all. Now I am excited at the thought of pursuing that someday. One part of my husband’s tree moved over to Australia but his ancestor came back here and stayed, while his Dad and most of his siblings stayed in Oz. Then I have one ancestor whose brother was transported there in the 1850s and there is a whole very interesting blog post about him to come! And the brother of my great grandmother moved out there in the early 1900s and my grandfather and his mother almost went to live out there too but came back after 6 months!